Ever heard of FISP, the Furniture Industry Sustainability Programme? 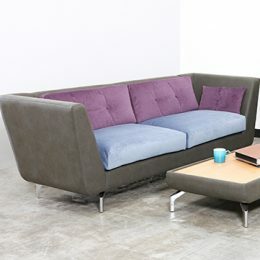 Run by FIRA (Furniture Industry Research Association) they audit the environmental impact of businesses in our industry. And they’re pretty demanding when it comes to the standards they expect of their members. That’s why we do what we can to make environmentally friendly choices for the products we make. We don’t use solvent-based processes; our glue is 100% water based. 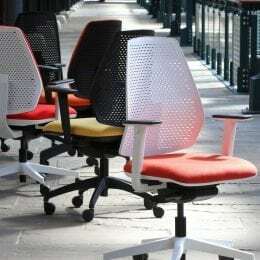 The foam used in our chairs can be repurposed as compounded chipboard and our waste fabric is used by charity craft and education-based initiatives. What’s more, we’ve achieved over 70% reduction in the energy consumption of both our lighting and our coating oven extractor motor. And we’re working on more ideas. We do these things because they’re the right things to do. But we love to help our customers make great choices too. New kid on the block, Scoot, has its eco-credentials sorted. 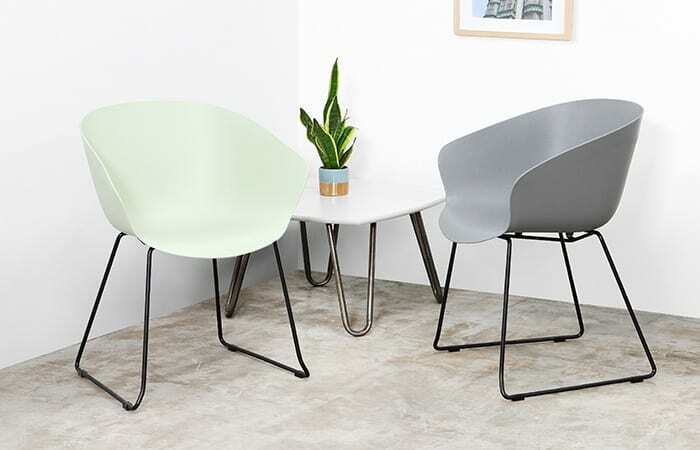 From the colourful polypropylene shells to the underframes and seat pads, not only are the vast majority of Scoot’s parts recyclable, many of them include recycled content in their own manufacture. 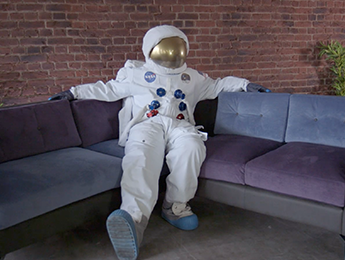 And it’s not just the seats that can be recycled, we’ve made sure the bases are just as planet-friendly. All bases, gas lifts, castors and steel or aluminium chair mechanisms are 100% recyclable. Scoot offers plenty of choice, all the while staying true to its environmentally friendly nature. 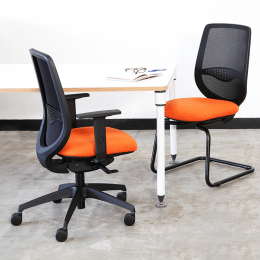 We’re proud to say that our Horizon Task Chair is 99% recyclable (as long as it’s upholstered in a fully recyclable fabric). But it gets better than that. 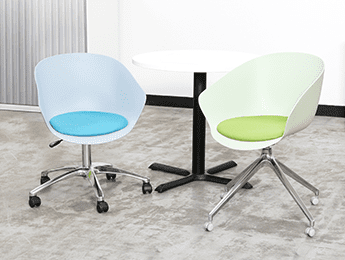 We use up to 49% recycled materials in the manufacture of this feature-filled task chair. 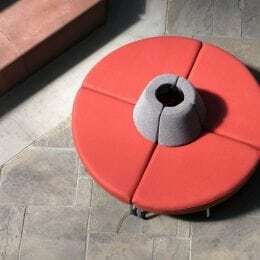 The seat, base and castors are 100% manufactured from re-compounded waste streams while 25% of the metal and 17% of the plastic in the Horizon mechanism come from recycled material. And if you prefer to re-use rather than recycle, Horizon has got you covered. The upholstery of this range is adhesive-free making it easy for us to replace covers and prolong the life of your chair. Perfect whether the original fabric has worn through or you simply fancy a different look. 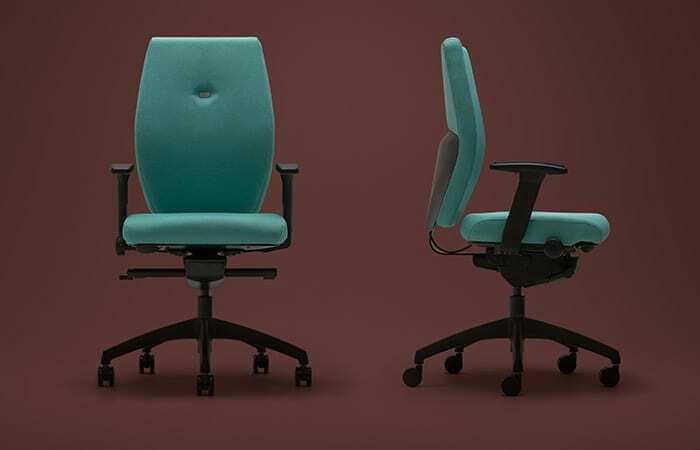 And to reduce the environmental impact of your chosen chairs still further, select a recycled material fabric such as Camira Rivet, a lightly textured hopsack made from used plastic bottles. 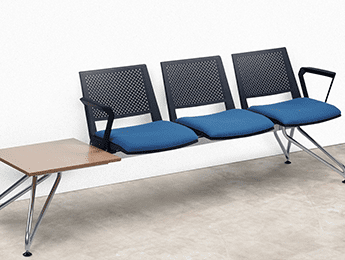 This is perfect for the heavy-duty requirements of well-used task seating. 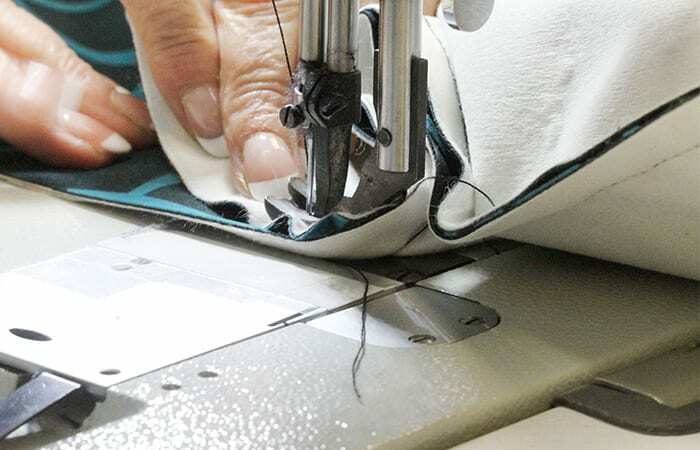 Or opt for a hemp-based fabric such as Camira Hemp Plus and Camira Hebden, which are certified with the EU Ecolabel. This indicates they have a reduced environmental impact throughout their lifetime, both in terms of the growth of the crop and the production of the material as well as its resulting use and disposal. Good to know! Have questions about our eco-friendly options?